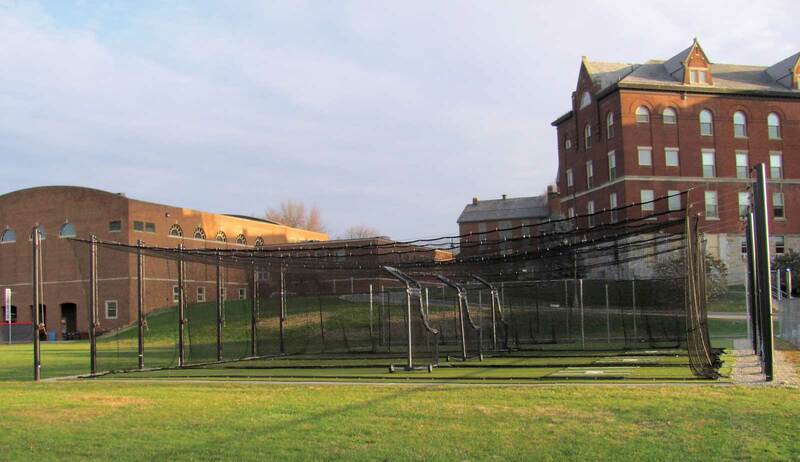 FEATURED PROJECT: TUFFframe PRO Hoistable | Shippensburg Univ. A combination of heavy-duty construction and hoistable flexibility. It all started with a call from Bruce Herring, the assistant director of planning & engineering for Shippensburg University (one of Pennsylvania’s 14 state universities). 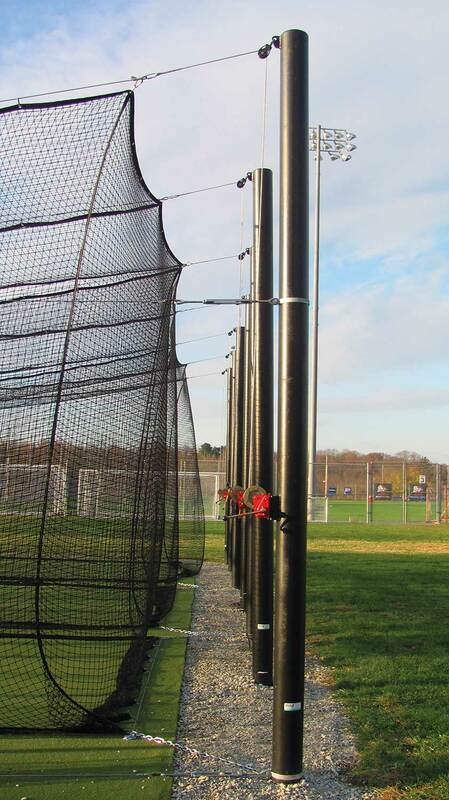 Herring was tasked with finding quality batting cages for the Shippensburg Raiders women’s softball team. He was interested in buying Beacon’s TUFFframe Pro cage. He loved its heavy-duty construction and the long-lasting performance it would bring. But, he also needed a winch system to enable his staff to meet the demands of seasonal raising and lowering of the nets. 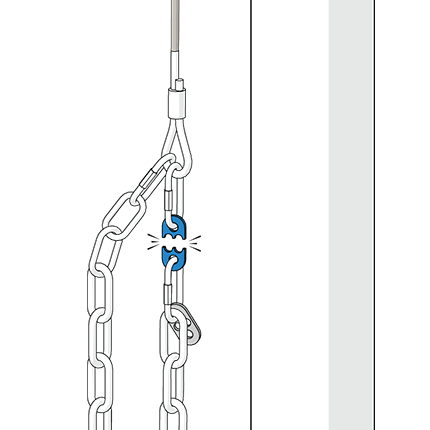 The standard design industry-wide for heavy-duty cages used a permanent tensioned cable. A permanent cable does a great job holding the net in place, but it requires more effort to raise and lower the nets. 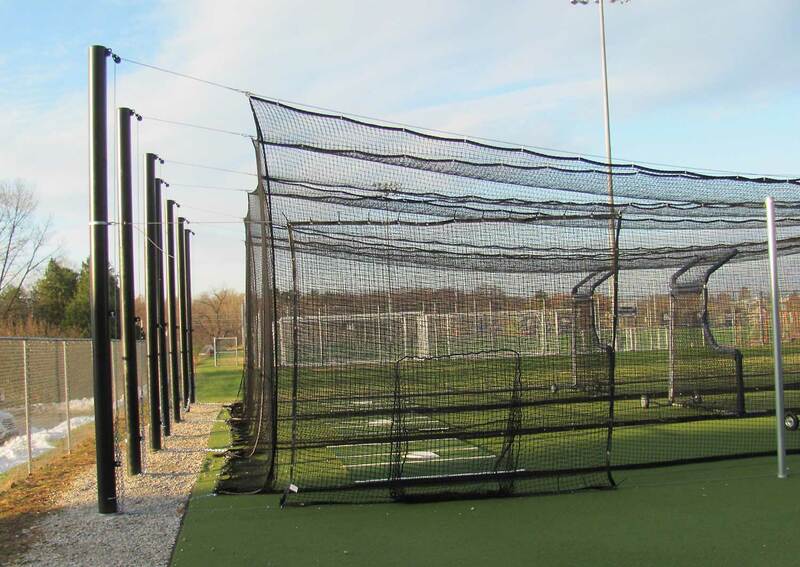 No batting cage of this size and quality had attempted to incorporate a winch system. They were right. 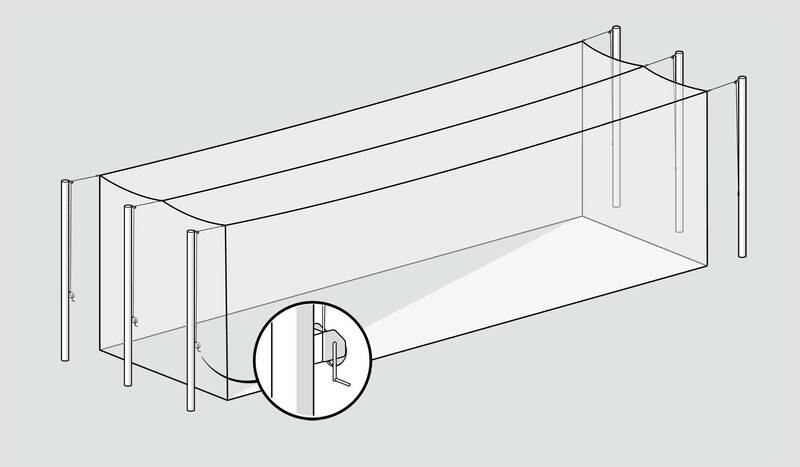 We delivered a triple-cage system to the university and guided Herring and his team through the installation. In addition, Beacon’s proprietary FUSElink Overload Protection System was included. This protection device releases the cable tension during periods of unexpected heavy loads, perfect to protect against the kinds of high winds or surprise snowstorms that can be commonplace in Pennsylvania. The result delivered everything they needed — the toughest cages they could get, with from-the-ground raising & lowering. “Beacon’s unique winch system solved our problem.